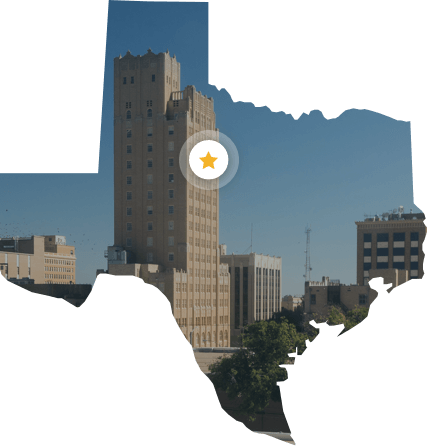 Located in West Texas, Abilene is home to nearly 120,000 people. When the town was established in 1881, it was named after the famous cattle shipping center Abilene, Kansas. Today, the city offers a diverse mix of western heritage, contemporary culture, and the renowned Abilene Christian University. True to the traditional values upon which it was built, residents and business owners in Abilene want electricity that is reliable and affordable. With Payless Power, you get this and more. Payless Power provides the best prepaid and standard electric service with low rates and no deposit in the Abilene area. Since 2005, Payless Power has been helping people stay connected, regardless of income or credit history. As a family-owned business, and not a giant electric company in Texas, we take great pride in serving our customers with care and respect across the entire state. *Ahorrar un 20% en las tarifas estándar de Payless Power con el descuento Flex Pay. Para más detalles, por favor lea el documento de Etiqueta de Datos de Electricidad. Best deal and lowest prices I’ve seen in a long time. Very convenient and not at all complicated. I am beyond happy with their service.